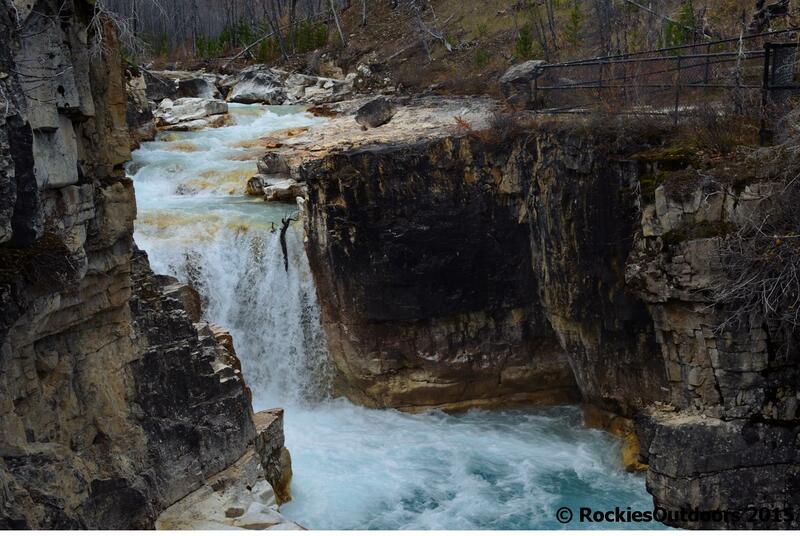 The Rockies have lots of excellent canyons which are readily accessible. 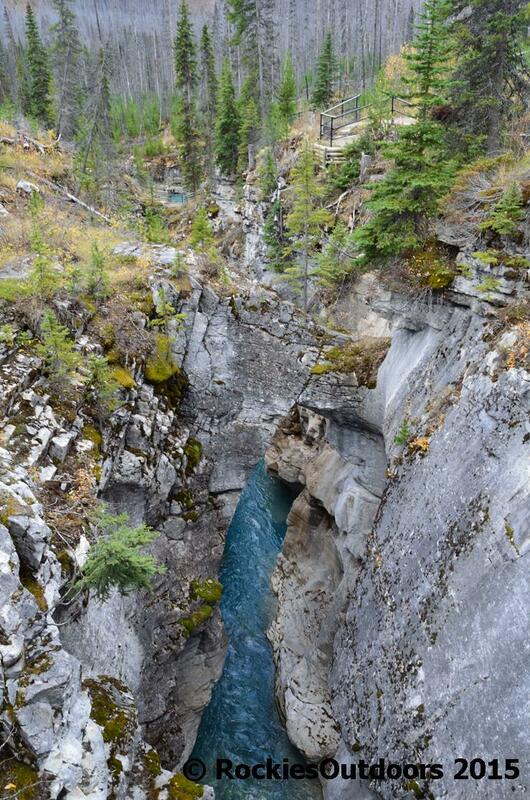 Whilst at Johnston Canyon, in Banff National Park, you are right inside the canyon walls, at Marble Canyon you hike alongside the top edges of the canyon and really look down to the creek below. 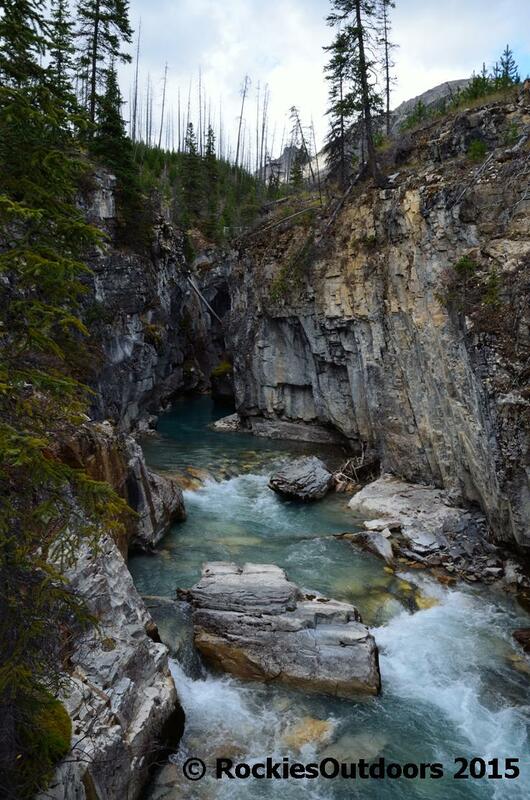 Marble Canyon is in Kootenay National Park, and is a great alternative if Johnston Canyon is busy during the summer. The parking lot can get busy, especially in summer, but this time I visited at the end of September so parking wasn’t a problem. 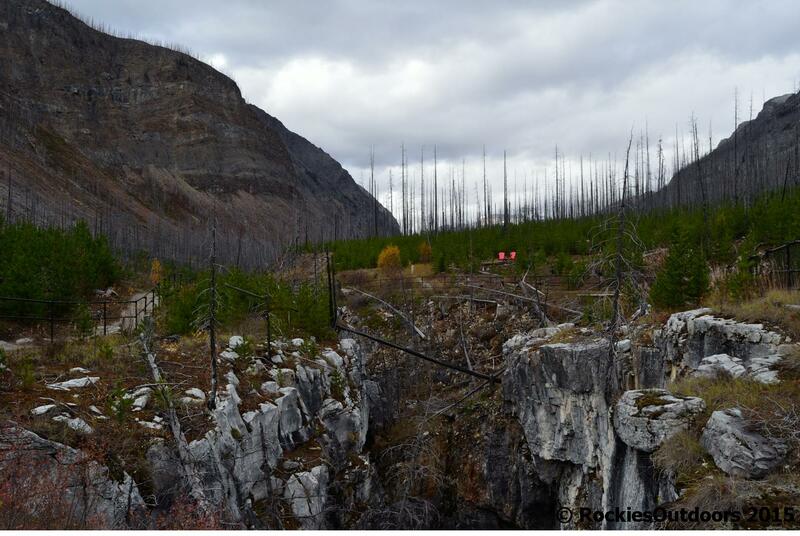 From the parking lot you’ll start at where the Kootenay River exits the canyon and then it’s a short climb up will bring you to the edge of the canyon – don’t worry though there are handrails everywhere! 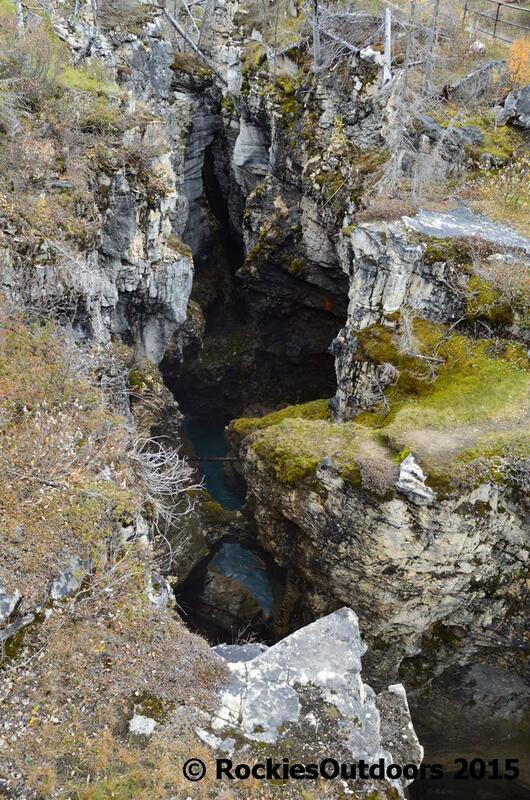 Though most of the walk is the same as the way that you’ll return on, there are a couple of sections where you can walk a circuit around the canyon. It doesn’t take long to wander around the canyon and there are so many great places for photographs that there’s no need to rush. 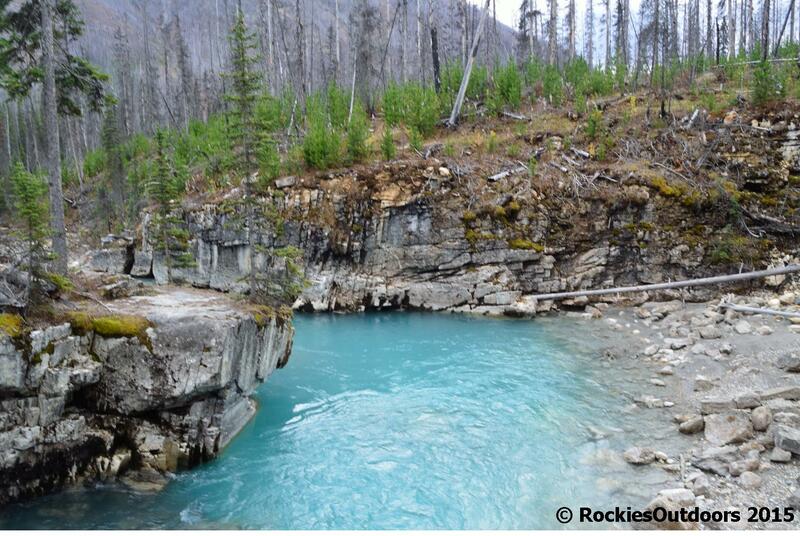 When I was there in late September the water was a beautiful turquoise in colour. 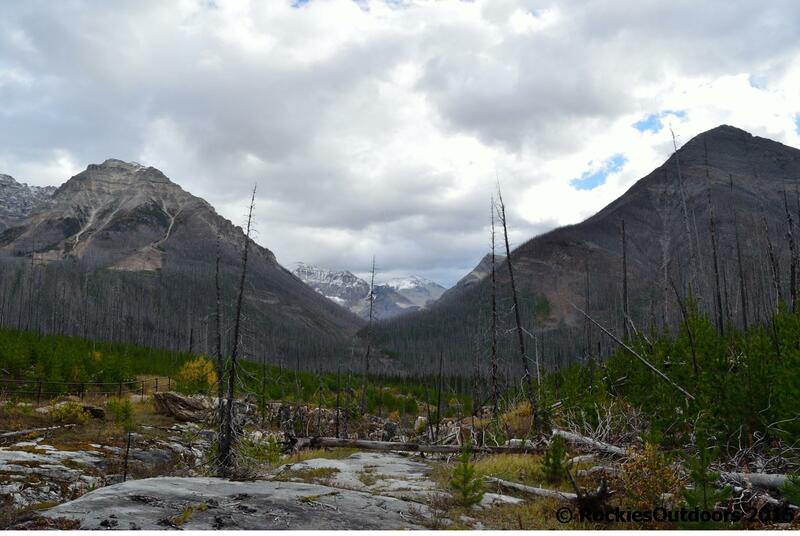 When you reach the furthest point of the marked trails you’ll be able to see the falls where the Kootenay River drops into the canyon. 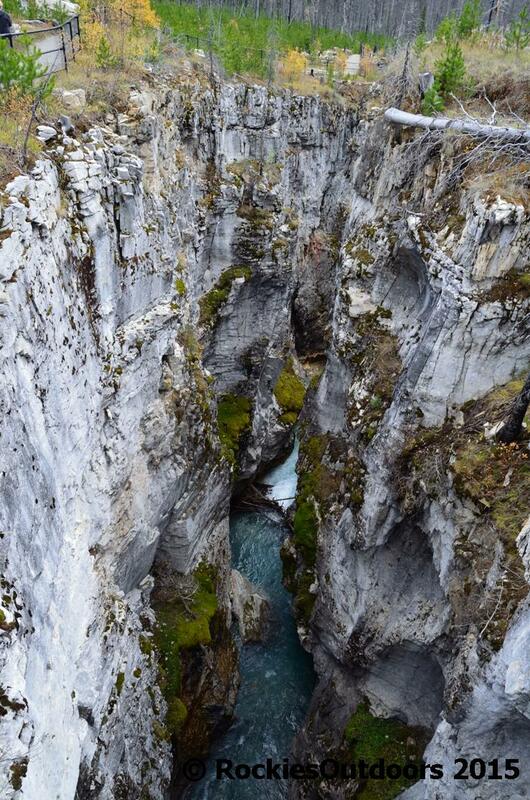 There’s lots of bridges criss-crossing over the canyon so you can really get a great look down into the canyon. Thanks for posting this, Rob! We visited here in 2009. It brings back some great memories! Wow! 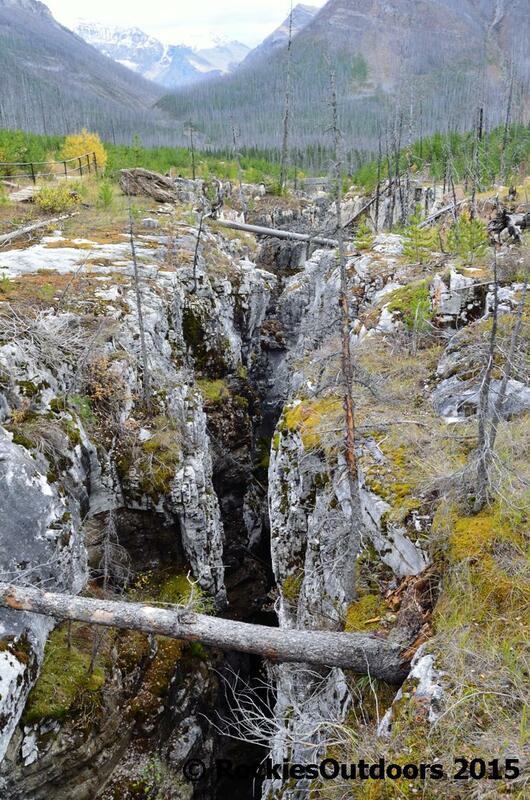 That is an incredible hike! What unique and beautiful terrain! Thanks for sharing. Beautiful! Can’t get over the cover of the river . . . so blue! 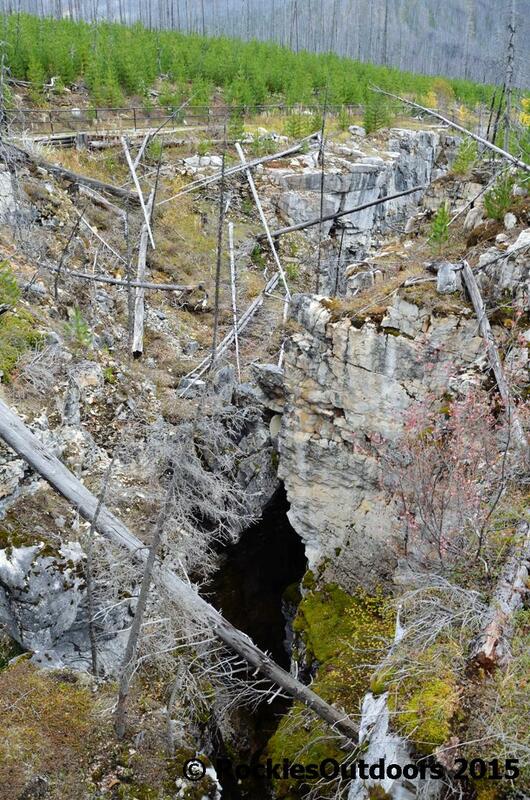 Any solution caves in the area? We never got to the red chairs. In a hurry…to get out before twilight fell. 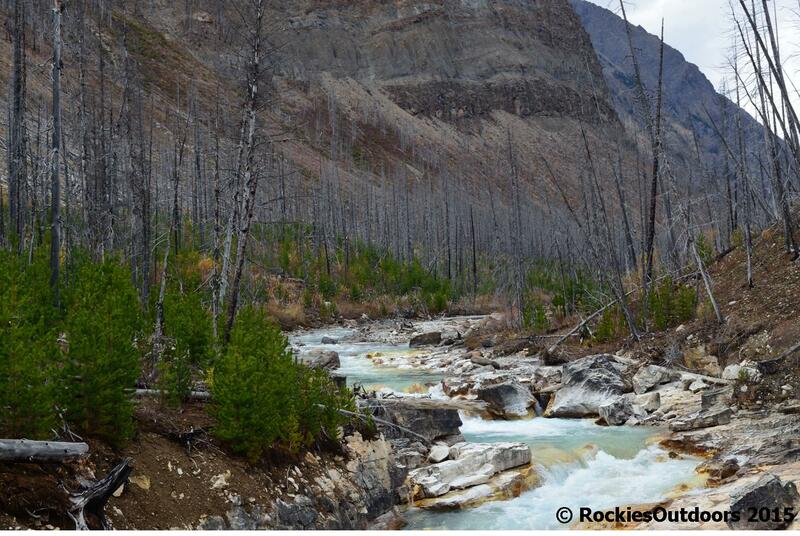 Why, oh why, did I not visit the Rockies when I had the chance? Thanks for the beautiful photos. Whoa! Must get back there! Haven’t been to the Kootenays in over a decade. Thanks for the reminder! Gorgeous!